In 2018, Concordance Healthcare Solutions announced several exciting expansion projects including Idaho’s Treasure Valley Region (Nampa), the Inland Empire area of Southern California (Riverside) and the greater Dallas-Fort Worth metroplex region in Texas (Grand Prairie). We are equally excited to announce continued growth in 2019 which includes our relocation in the New Jersey area from Secaucus to Edison. 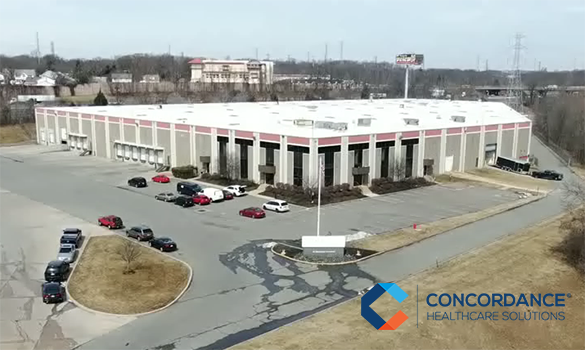 As part of our company growth strategy, we are moving our existing distribution center to a larger 208,000-square-foot facility which will enable our superior Operations team to remain a vital part of the Concordance family. This relocation project will be completed in Spring of 2019. Thanks to our incredible Northeastern customer base whose continued business and support over the last couple of decades has helped us grow into the company we are today. Concordance customers in the Northeast continue to be serviced from Secaucus, New Jersey, where we have been a proud member of the Meadowlands community for the past 20 years. Since then, our service area has significantly expanded and today, our Northeast Sales Region proudly provides supply chain services and logistical support throughout the entire care continuum including government and VA facilities in Connecticut, Delaware, Maryland, Massachusetts, Pennsylvania, Rhode Island and Washington D.C.; all from Secaucus, New Jersey. “The opening of our Secaucus distribution center in 1998 was the start of our journey and vision to grow our business beyond New York. It was a bold step for us at that time, as we set our goal on becoming the largest, most customer centric, regional distributor in the tristate area. As we prepare to close the doors on our Secaucus facility, we look back with gratitude and appreciation to all our customers and supplier partners who supported our nonstop growth as an organization. As we look forward, we are motivated and energized for the expansion opportunities that lie ahead,” said Gina Marchese, Executive Vice President of Sales and Growth Strategy. With growth and continued emerging opportunities comes the need for additional space. While the new facility gives us the space we need, the best part about it is that it gives us the opportunity to stay local! The new Edison facility is only 30 miles south of Secaucus, down the New Jersey turnpike, within the core of the Raritan Valley region. We’re extremely excited and appreciative that our employees are coming with us. The entire management team and a majority of our long term employee base are all making the move with us to our new facility. Your business is important us. Therefore, in the interest of total transparency, we’re focused on you and we’re committed to the continuity of business with zero interruptions. Both Secaucus and Edison will be running concurrently as the operation is shifted. Our new location is much larger which will allow us to embrace upgraded technology features including the conversion to voice pick. Voice picking, receiving, replenishment and other warehouse voice applications deliver significant improvements in productivity, accuracy and efficiency compared to manual processes and other technologies. The core competency of distribution is logistics optimization and Concordance has evolved a unique business model that incorporates both the efficiencies of a large sophisticated box mover with the flexibility of a locally-based, hands-on, operational team. As we continue to service the entire healthcare continuum, we’re thrilled that this move enables us to prepare for continued growth. 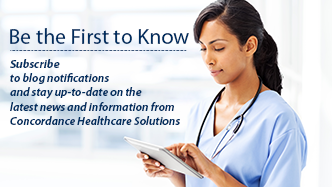 Concordance Healthcare Solutions is proud to provide service beyond expectations, now and for many years to come. Check out our current geographies and contact us for more information.